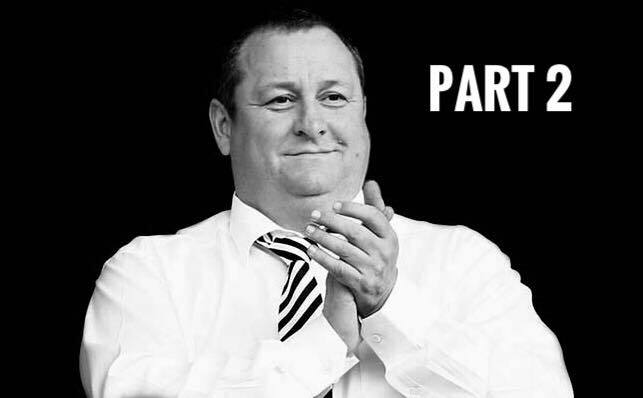 Mike Ashley’s Poundstretcher Summer Transfer Window – Part 2 – Midfielders – NUFC blog – Newcastle United blog – NUFC Fixtures, News and Forum. Having already looked at the situation with our forwards this summer in my previous piece, it is now time to look at the midfield. I was never a huge fan of Hayden. I liked the fact he was English but always felt that he was a Championship standard player…until recently. Now I like the lad. Full of energy and does all the dirty work that most people don’t notice. He wants to be closer to his family though and who can blame him. I’m sure Raffa has tried to get them moved up north but we all know how stubborn the ladies in our lives can be and she probably wants her family around her if their little one isn’t too well. Shelvey should stay end of story! Last summer we were all a bit miffed because he wasn’t in the world cup squad lauding him as “the best English passer of the ball”. So let’s not turn our backs on him now. I can’t help but feel that Ashley is trying to make Rafa sing for his supper on this one. I think Mike is going to pull a Nazi Germany trick of “I’m going to shoot one of your children but you can pick which one” and give Rafa a choice of Rondon or Diame and unfortunately Diame loses that one as I think Rondon is daddy’s favourite! Rafa has made no secret of his desire for a new winger. However I think in order to get that he has to move out either Atsu or Murphy out of the door. For me Murphy is the better player, is younger and is a lifelong toon fan so would play for the shirt. As a result I think Atsu will be moved on. A shame but he just isn’t good enough / doesn’t seem to have the right attitude. Good luck to him. What a petulant child, throwing his toys out as soon as he wasn’t in Rafa’s plans! Don’t let the door hit you in the a**e on the way out Jack. Benitez seems to like him, but has failed to sign him over the past few windows. He is a free agent this summer and is a direct and younger Diame replacement. A no brainer for me. We were knocked back for McCarthy a few times in the past. 6 games in the last 2 seasons tells you all you need to know about his Everton career. On his day he can be one of the most combative midfielders in the league and at 28 he is at his peak. This one is a personal favourite of mine and I would love to see him in black and white. Bit of a gamble this one as his Everton career has not been stellar but I remember the way he played for the Saints. I believe systems directly affect performance and if he was Rafa’s player he would get the most out of him. At one point the sky was the limit for Markovic. However, if the obstacles preventing you from playing are Coutinho, Firminho, Lallana etc then you are going to have a long wait and his career has stagnated. At 24/5 he is worth a punt and is out of contract this summer. He looked good during a loan spell at Hull not so long ago. Fee: Free – He’s already ours! Victor turns 21 this year so next season should be his breakthrough season if it’s going to happen. You only have to look at Longstaff as an example of how to grab an opportunity and I’m sure Victor is taking note. Also due to his age he won’t take up a squad place. So for me there is an opportunity to get some quality players in there with a £10-15m profit. And if we want to get the occasional “Almiron” we have to box clever because Ashley isn’t a fan of net transfer spends now is he? Next time Goalkeepers and Defenders in Part 3. Thank God you aren’t the manager lol. Good article up until it came to incomings! We could lose Shelvey, Diame and Hayden this summer but Rafa will have better targets than James McCarthy in mind bearing in mind he will only be our manager next season if Ashley backs him. To be fair, I think most would take £20m for Shelvey, and up until around 2 months ago we would have snapped hands off for £12m for Hayden – now I’m not sure that’s enough, but I hope we don’t price the lad out of a move. The rest, yeah I’d go with those figures. But if those are the replacements I’d be gutted. I can’t stay I agree with Darren’s choices – but keep in mind this is a slightly tongue in cheek piece looking at the sort of deals we could look at if we’re scraping the barrel! His “humour” went way over my head Olly.